It has been used as a traditional herbal medicine since centuries. The Philippine Department of Health, too, has included lagundi in its list of 10 medicinal plants with clinically proven medicinal values. The palmately leaves, blue to lavender-colored flowers, root and seeds of this shrub, all have healing properties. The root, for instance has tonic, expectorant and febrifuge properties. In addition, the fruit has nervine, cephalic, aphrodisiac, and emmenagogu properties; when dried it is considered a vermifuge. 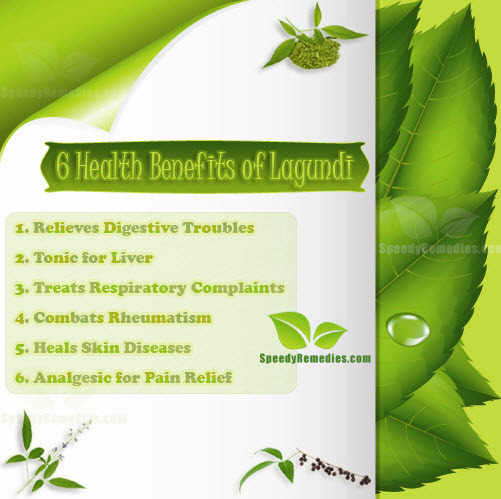 Let’s explore some remarkable health benefits of lagundi. Taking a tincture of lagundi root-bark is considered effective for treating rheumatism. Plus, a vapor bath prepared from the plant too helps treat rheumatic affections. The leaves of the plant also relieve inflammation and swelling in the joints. Plus, lagundi leaves are used to relieve muscle sprains as well. For this, the leaves are crushed or heated over fire on an earthen pot and then used as a poultice.